SMS gateway allows sending and receiving SMS messages via devices other than mobile phones. The method can be explained by OSI Model too. But, entering to OSI Model will be too much technical to be understood by an average user plus really there is no need of knowing how to install the hardware setup. Instead, we will discuss about SMS Gateway for the broader audience, in a digestible manner; even you will not get that much of information on ordinary websites – most actually will tell you how to send SMS messages via email free of cost and eventually they fail with time as update is needed. It is unfortunate, but Google loves that kind of website. The reason is simple – cheaper ways sell in huge number. 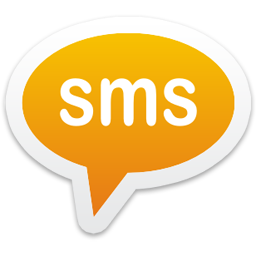 A SMS gateway is a provider of sending text messages to mobile phones. The gateway provider usually offers an HTTP API via which the SMS can be sent. In addition, the various SMS gateway providers provides SMS without its own identifier, the response function on foreign servers goes with or without delivery report. Depending on the function and the provider, the cost of an SMS between 1.5 and 10 cents. Depending on the offer and use of SMS gateways quite a costly endeavor. The reason why in the usual websites, you will see lot of comments full of complains below their tricks to send SMS messages via email free of cost, for example from Feed, is nothing but for the reason – there are restrictions of IP of the server to send SMS to another country. If 4-6 SMS per day are sent to 2000 users, either end will block it. Web services by SMS : The input message is in the browser via a website. This function is often of free e-portals offered and service cost is financed by advertising, which is attached to the message. These will work fine because the sender is that website, they do have proper setup. But that Ad part is not enjoyable for sure. HTTP call to SMS : This method is dependent on an application programming interface or API. This allows you to send out SMS from programs, for example for important error messages, mass mailing of advertising or even for writing individual messages in a desktop application. These can be tracked so has some fees that is somehow fetched if free is offered. SMPP for SMS : Another is the SMPP interface which is used for a direct connection and is extremely fast for transmission of a large number of messages. This offer in addition to the HTTP interface, has the ability to change already fed short messages before shipping or deleting them. This is now the standard way for enterprise level setup. This is what we register for Do Not Disturb SMS service and still receive some. Obviously it is most costly way. We will discuss as a tutorial on how to setup your own SMS Gateway, quite obviously it has some cost, is legit and demands some technical knowledge. This paragraph will be deleted and replaced with the corresponding tutorial at that time. Cite this article as: Abhishek Ghosh, "SMS Gateway and Sending SMS Via Email," in The Customize Windows, August 3, 2013, April 26, 2019, https://thecustomizewindows.com/2013/08/sms-gateway-and-sending-sms-via-email/.